Terminal lawsuit - Patent my French! Standard-essential patent (SEP) litigation is something of a venture, as already illustrated in a previous post. The “terminal lawsuit” reported in today’s post provides yet further illustration. In fact, not only was this a lawsuit on a terminal, namely an electronic payment terminal, but it also turned out to be terminal for the patent proprietor’s business strategy. The story begins, as always in such a case, with licence negotiations between a patent proprietor, Koninklijke KPN NV, which I will be happy to simply refer to as KPN, and another big player, France-based Ingenico Group. The standard at stake is the EMV standard, which stands for Europay, Mastercard, Visa. Self-understandably, this is a standard relating to payment cards, payment terminals, and the protocols according to which they interact together. KPN owns European patent EP 0873554. Ingenico manufactures and markets EMV-compliant payment terminals and KPN argued that the patent is implemented by the EMV standard. KPN sued Ingenico for infringement in front of the Paris Tribunal de grande instance after the licence negotiations failed. In short, KPN lost. For the long story, we need to refer to the very detailed judgment which is dated April 14, 2016. A key part of the discussion relates to the determination of the scope of protection of the patent. The judgment contains a number of interesting (albeit sometimes controversial) statements in this respect. – the payment means transfers a second authentication code to the payment station, which authentication code is determined on the basis of at least a second start value, the second random value and second transaction data of the payment means using said process, the second start value being based on the first end value. The scope of claim 1 was in dispute. Claim 1 generically mentions an “electronic payment means”. But the defendant argued that the term should be construed as only covering a card containing units to be debited, and not other electronic cards such as bank cards. […] The embodiment mentioned in the description concerning prepayment electronic cards does not restrict the scope of the invention, which relates to any payment mode using a chip card such as a bank card. The transfer of the balance can be omitted or replaced by an acknowledgment receipt or by a card authentication. […] In the claims as well as the description and drawings, in particular Figure 1 which shows a chip card used to make a payment in a shop and connected to the card carrier’s bank and the shopkeeper’s bank, the expression “electronic payment means” encompasses any type of chip card and not only a prepaid, rechargeable card. This expression, […] just like the terms “chip card” or “smart card”, covers any type of payment card, including bank cards. […] The structure of the claim is essential for determining the […] scope of protection afforded by the right. The claim preamble sets forth the state of the art, whereas the characterizing part, introduced by the words “characterized in that”, sets out the elements which make up the invention, namely the novel and inventive means taken in their form and function, which apply to the object comprised in the state of the art and benefit from exclusive protection. The characterizing part is only considered “in relation” with the preamble because the latter is the support for the former, and because the means for which protection is claimed apply to the product described in the preamble. This relation, just like the interpretation which is made in the light of the description and drawings, does not result in an extension of protection to elements which cannot benefit from a monopoly for they are comprised in the state of the art; but it identifies the concrete subject-matter of the means which make up the invention. The violation of the exclusive right is in fact characterized not by the reproduction of elements in the preamble but by that of the means claimed in the characterizing part. Many professionals (including myself) are uncomfortable with the idea that the interpretation of a claim should depend on where in the claim the “characterized in that” phrase is placed. The division of the claim into two parts may not necessarily accurately reflect the contribution of the invention to the art: only one piece of prior art is usually taken into account when drafting a two-part claim; the applicant may not agree with the characterizing portion demanded by the examiner but may not have a lot of leeway to challenge his/her position; etc. Although it makes perfect sense for the court to focus on what the invention is really about, relying on the two-part form to perform this analysis could lead to unfair outcomes. The court regretted that, in the present case, “the structure of claim 1 does not comply with the implementing regulations since it does not comprise a clearly stated characterizing part“. The court seems to have overlooked that R. 43 EPC explicitly provides that the two-part form should be used “wherever appropriate“, as opposed to in all circumstances. The Guidelines for examination provide a number of examples in which it is not appropriate to use the two-part form. Actually, after reading this judgment, I think it is certainly advisable to avoid casting a claim into a two-part form whenever possible since this may unduly restrict claim interpretation in subsequent litigation. The court then turned to a detailed analysis of the contents of the description of the patent. […] Examination proceedings and potential variations between the application and the granted patent are irrelevant in the context of analyzing the scope of the patent, which is solely made considering the latter, because on the one hand it defines the protection from the publication under article 64 of the Convention (since the protection conferred by article 67 to the patent application is only temporary) and on the other hand legal certainty explicitly mentioned in the interpretative protocol of article 69 demands that third parties can determine the extent of protection solely based on reading the patent without having to embark on uncertain interpretation of the applicant’s intent in view of modifications made since filing. Makes sense. Although, shouldn’t a distinction be made between statements made by patentees during prosecution that third parties may want to rely on vs. self-serving statements? Anyway, back to the (complex) analysis of the description and drawings. The court came to the conclusion that the invention is about a closed dialogue between the card and the terminal, as opposed to one which would include a bank server – as would be the case if the electronic payment means were a bank card. [Fig. 1] is not explained an the dotted line between the card or terminal and the bank is not defined. The association between the card and the bank and the one between the terminal and the bank are not understandable. The only exchanges described are those between the card and the terminal and then between the banks, which take place respectively during and after the transaction phase […]. And, the sentence “During a transaction there basically does not take place communication between the payment station and the payment institution in question (so-called offline system)” means that there is absolutely no exchange between the card or terminal and the bank, not only because it is defined by the expression between brackets, but also because the sentence is a reminder of the risks of abuse attributable to this lack of communication […]. Thus the sole payment means contemplated in claim 1 […] is a card comprising a balance of units to be debited or credited and not a bank card. The fact that the latter is also a payment means and is designated under this generic name in the EMV specifications is irrelevant. The transaction data transferred to the terminal is restricted (with the exception of authentication codes) to the balance on the card. Consequently, the protection of the process does not extend to securing bank card transactions, which necessitates an open and more complex dialogue. So all of this did not bode well for the patentee’s infringement claim, since Ingenico’s terminals are meant to be used for payments via bank cards. 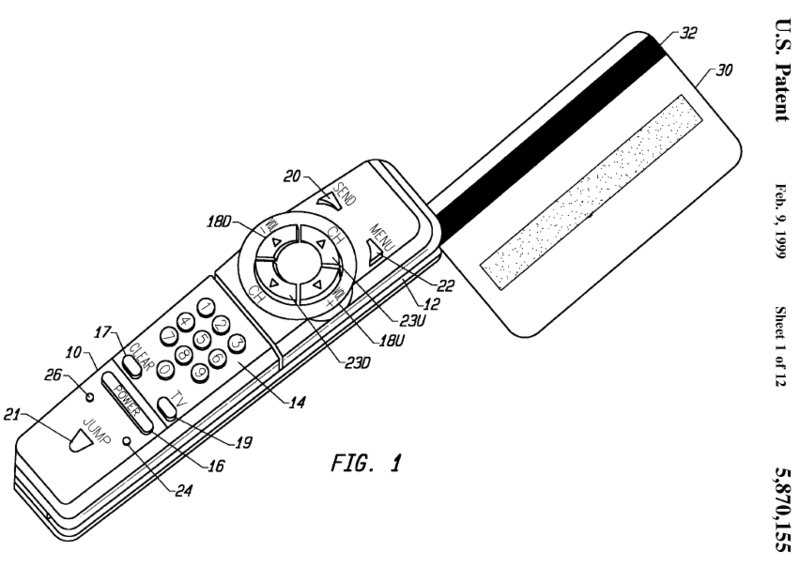 They did preserve the patent though, as Ingenico’s counterclaim for invalidity was unsuccessful. Among others, an auxiliary objection of extension of subject-matter was raised in case the court were to retain a broad interpretation of claim 1. That is a “squeeze“-type, either-I-am-not-infringing-the-patent-or-there-was-some-extension-of-subject-matter-but-you-cannot-have-it-both-ways-type of argument. The court bought the narrow claim interpretation and accordingly rejected the auxiliary objection. Suggestion for a crosswords definition of electronic payment means: the nightmare of teleshopping addicts. A few more words on the infringement part of the judgment. First, the court noted a technical difference between the subject-matter of claim 1 and the EMV standard – which I am not going to comment on. Second, and more interestingly, the court held that there was no contributory infringement anyway, irrespective of whether the patent was implemented in the standard. The court stated that the statutory provisions on contributory infringement need to be appraised in a very strict manner. In particular, there can only be contributory infringement if “means for implementing the invention […], relating to an essential element thereof” are supplied by the alleged infringer. Ingenico is accused of selling payment terminals compliant to standards which implement the patented process. […] The essential element [of the invention] lies in the dependence between the second authentication code and the first one. It is the sole novel and inventive element which provides the desired security. And it is exclusively performed by the undefined and unclaimed function of the card. […] The role of the terminal is limited to sending the card a random value to initiate the authentication step. This phase was known from the prior art and is not novel. It is true that the first final value is calculated partly based on this random value. But the essential element does not lie in this use but in the conservation of the cryptographic residue from the processing as a first final value, which is the basis for the second code. The terminal is not involved in this process. The fact that it is mentioned in claim 1 (in the part which should actually have been the preamble) is irrelevant. The invention covered by claim 1 is implemented by the function of the card, which is the subject-matter of product claims. It is not implemented by the terminal […]. Therefore, no matter whether the claims are reproduced (literally or by equivalence) by the EMV standards, the means supplied by Ingenico, i.e. the terminal, cannot generate the result of the invention and does not relate to a constitutive element thereof. The way I understand French case law, very schematically, contributory infringement applies if an invention is made of two interacting parts, for instance the wipers discussed here. But if the novel and inventive features of the invention lie in one element only, and if someone then supplies another element to be used with the former, there is no infringement. I think the case law is clear in this respect, which is certainly a very good thing. CASE REFERENCE: Tribunal de grande instance de Paris, 3ème chambre 1ère section, April 14, 2016, Koninklijke KPN NV v. SA Ingenico Group, RG No. 14/11998.